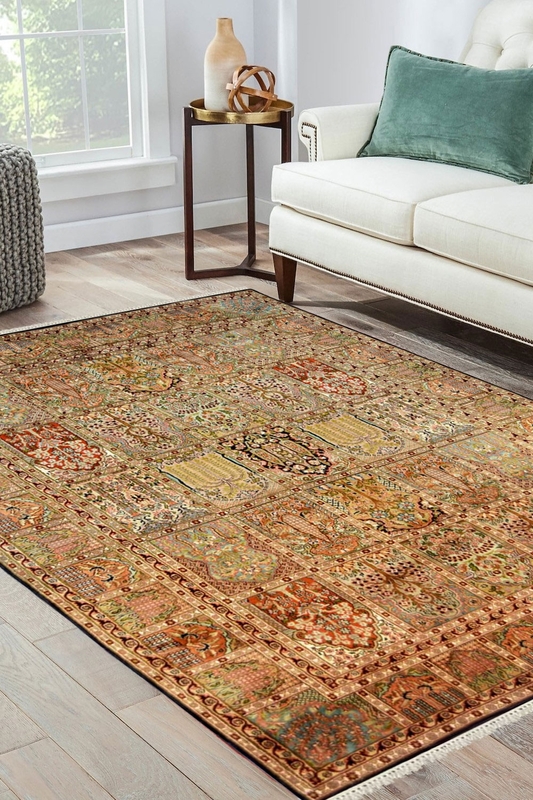 Give a new look to your décor by placing this beautiful hand-knotted silk area rug in your living space. This magnificent rug is woven in pure silk and cotton material. This Jewel Box Hamadan Silk carpet is one of a peaceful carpet and also in the limited collection. It has panel Hamadan pattern design. This is "One of a kind" carpet. It has an extremely intricate design pattern which is beautifully crafted by our skilled and very talented craftsmen. It has taken about 9 months to weave this beauty. It looks like a perfect setup of mirror panels with a different design pattern. Number of Knots in this rug contains around 324 knots per square inch. The base is in cotton and top is in silk. This design is originated from the western part of Iran.